CAPE CANAVERAL, Florida -- The 2016 Autumn Equinox falls on Thursday, September 22, 2016. 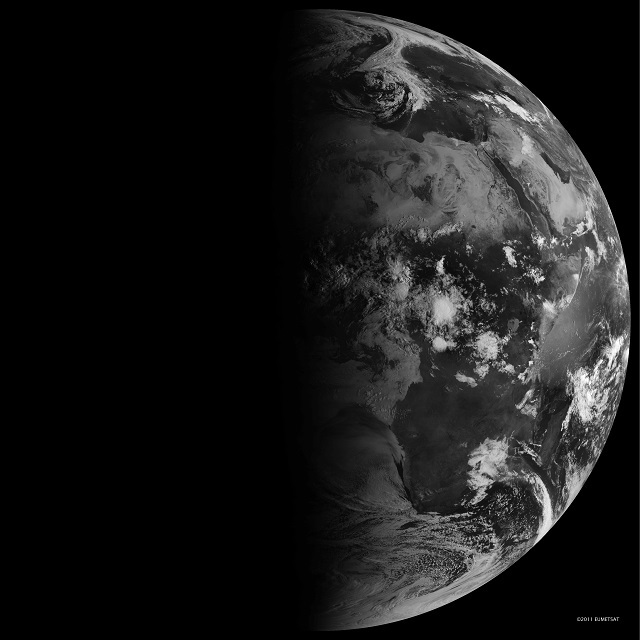 The Fall Equinox, as pictured in this NASA Earth Observatory photo, is caused by the tilt of the earth's rotating axis. According to the U.S. Naval Observatory, the Autumn Equinox, marking the changing of the Seasons from the last day of Summer to the first day of Fall, occurs on September 22, 2016, at 10:21 a.m. Eastern Daylight Time (2:21 p.m. Universal Time). Equinox means "equal night" in Latin, capturing the idea that daytime and nighttime are equal lengths everywhere on the planet. That is true of the Sun's presence above the horizon, though it does not account for twilight when the Sun's rays extend from beyond the horizon to illuminate our gas-filled atmosphere. It is the equal amount of day and night in the northern hemisphere for locations like Melbourne, Florida, but also in the southern hemisphere for locations like Melbourne, Australia. The apparent change in location of the sun and moon marks important dates for hunting, fishing, and farming. It is not the Sun that is moving north or south through the seasons, but a change in the orientation and angles between the Earth and its nearest star. The axis of the Earth has tilted 23.5 degrees relative to the Sun and the ecliptic plane. The axis is tilted away from the Sun at the December solstice and toward the Sun at the June solstice, spreading more and less light on each hemisphere. At the equinoxes, the tilt is at a right angle to the Sun and the light is spread evenly. Naturally, many people would think that with the changing of the seasons comes the changing of their clocks at the beginning of Fall 2016. But this is not the case. It is true, however, that a helpful way to remember whether to set our clocks ahead or behind one hour during the daylight savings time is to "Fall Back" and "Spring Ahead." The beginning of Fall 2016 does not mean the end of 2016 Daylight Savings Time. Daylight Savings Time ends after the Autumn Equinox when days become shorter and shorter heading closer to the Winter Solstice. So if you are asking, "When does daylight savings time end?" "Do we change clocks when Fall starts?" The answer is the date Daylight Savings Time (DST) will end for Florida is on Sunday, November 6, 2016. The rest of the United States will also turn their clocks back on November 6, 2016, with the exception of Hawaii and most of Arizona because those states do not practice Daylight Savings Time. This means that we gain (not lose) an hour when we turn our clocks back an hour to 1:00 a.m. when our clocks reach 2:00 a.m. on Sunday.